What will Benedict XVIs legacy be in the years ahead? Jennifer Fulwiler’s article on the camp can be read here. The Prefect of the Congregation for the Doctrine of the Faith, Archbishop Gerhard L. Müller, addressed the Pontifical Academy of Life on 22 February 2013. It was the annual meeting in Rome. Müller’s talk didn’t shatter too many windows by unearthing new problems, nor did it break new ground in the Church’s teaching. Müller gives a brief assessment of the situation and that we have gone off the tracks in some ways. He does, however, shed light on the fact that we need to take more seriously our moral and faith formation and to put in the time doing the hard work to know the issues and how to respond to them according the parameters of the Catholic Faith. Too often we are afraid to do the hard work. And that’s the ministry of the Prefect: to illumine and offer a corrective. Archbishop Müller did challenge, to a degree, the theological professorial establishment, even if the talk may be seen a bit anemic. In today’s mail I received my copy of George Weigel’s latest book, Evangelical Catholicism: Deep Reform in the 21-Century Church (Basic Books, 2013). 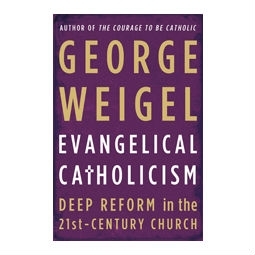 Weigel’s pointing to a niche Catholicism that’s only now gaining currency in Catholic places. 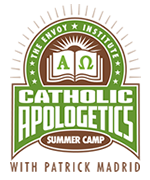 “Niche” in the sense that Catholics are now adopting an approach, a method, a manner of proposing the Truth that is more associated with Evangelical Christians than with Catholicism. We don’t always have the confidence and vocabulary to make the Christian proposal to others (to Catholics and non-Catholics alike). But if you think about, we’ve always been evangelical but we’ve been shy to share our faith with others in meaningful ways. A fantasy [that people have] property takes no account of the fact that, for the great majority of mankind, life is a struggle. On those grounds I would see this idea of choosing one’s own path in life as a selfish attitude and as a waste of one’s vocation. Anyone who thinks he already has it all, so that he can take what he wants and center everything on himself is depriving himself of giving what he otherwise could. Man is not there to make himself, but to respond to demands made upon him. We all stand in a great arena of history and are dependent upon each other. A man ought not, therefore, just try to figure out what he would like, but to ask what he can do, and how he can help. Then he will see that fulfillment does not lie in comfort, ease and following one’s inclinations, but precisely in allowing demands to be made upon one, in taking the harder path. Everything else turns out somehow boring, anyway. Only the man who “risks the fire”, who recognizes a calling within himself, a vocation, and ideal he must satisfy, who takes on real responsibility, will find fulfillment. It is not in taking, not on the path of comfort that we become rich, but only in giving.